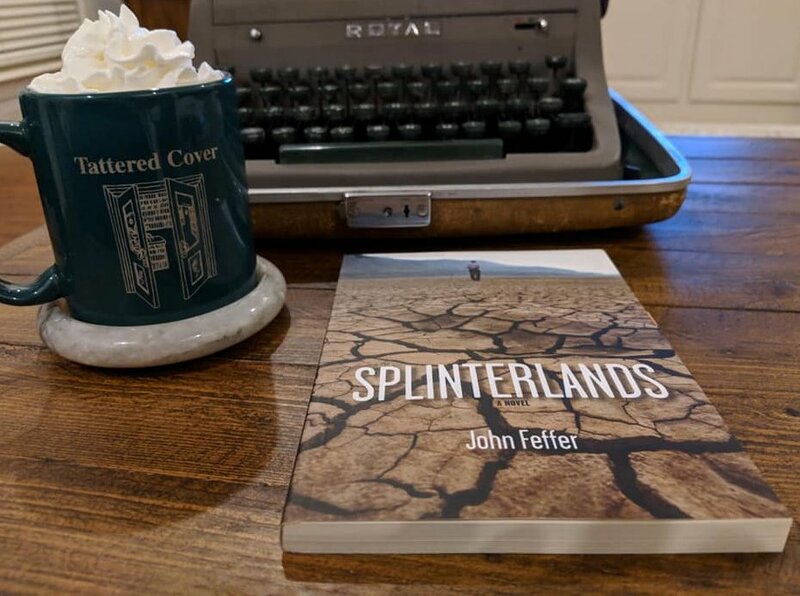 Splinterlands by John Feffer is set in a dystopian future, where climate change and the splintering of nations has led to a violent, shattered world beset by food shortages and flooded shorelines. A former professor who became famous for his prediction about what would happen narrates. The book is his reflection as he lay dying -- complete with footnotes by an unnamed analyst. He recalls what occurred and how his personal mission to visit his family (using futuristic technology that allows a 3-dimensional avatar to walk around and speak to people as if he's there, while he stays home in bed), also splintered and scattered around the world, unfolds. His prediction, which brought him fame when it largely came true, was written in our time, as Brexit was beginning the downfall of the European Union and inactivity on climate change was causing that change to accelerate. After he visits each of his family members, something sinister happens. They each disappear. The family has broken up for varying reasons and as he meets up with each member of the family individually, they dredge up the past and resume their arguments. Since they argue all over again, it's possible they simply can't tolerate him and have opted to cut off contact deliberately. But, one of his children lives a shady lifestyle. Could the disappearances have something to do with him? Recommended but not a favorite - I found this book a bit on the dry side. It's written formally, like an academic paper, because the narrator is a former professor. And, of course, it's interrupted by footnotes clarifying the narration. But, it's worth sticking it out for the ending and I think the author did a great job of imagining a future scenario based on current events. He humorously used a hurricane named Donald that destroys Washington, D. C. as one of his defining events. I bought my copy of Splinterlands from the publisher, Haymarket Books. They occasionally have fantastic sales online. I recommend following them on Twitter, if you happen to tweet.